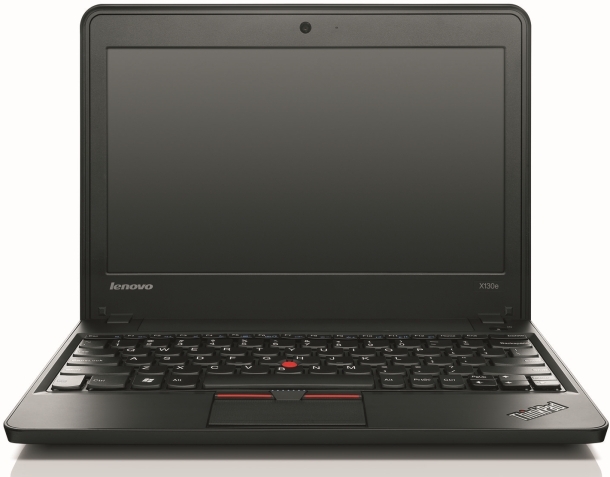 RESEARCH TRIANGLE PARK, NC – December 6, 2011: Lenovo announced today the ThinkPad X130e laptop, specially ruggedized for education and with the features needed to help students in grades K-12 and their schools get the most out of their PC technology. Equipped with the advanced technology expected for an educational laptop, the ThinkPad X130e comes with choices of the latest Intel or AMD processors and fast, integrated graphics as well as wireless connectivity and multimedia tools for today’s digital learning. Designed to be handled by kids, the ThinkPad X130e has a reinforced and extra durable top cover, keyboard and hinges. Schools will also like its performance, reliability and customizable options including asset tags, BIOS modifications, custom imaging and a broad selection of custom colors. The ThinkPad X130e laptop helps students get more out of their day. This 11.6-inch lightweight ultraportable has the processing performance students need for assignments requiring multitasking with choices of AMD Fusion E-300 and E-450 or Intel second generation Core i3-2367M ULV processors. For multimedia-intensive lessons, the laptop kicks in its AMD Radeon or Intel HD-powered graphics to give students a rich visual experience. The ThinkPad X130e laptop has the tools students need most for today’s digital learning environment. They can use the low-light webcam to communicate with students in other schools across the world or just across town. They can also easily connect via WiFi and even keep their connection while moving from class to class using Lenovo’s Instant Resume function. With HDMI and VGA out, students can present their reports to the class with a projector or bigscreen TV. Learning can’t wait, so Lenovo developed fast-booting PCs, like the X130e laptop that starts in less than 20 seconds using Lenovo’s RapidBoot technology4. Built-in self-help tools like Rescue and Recovery and Access Connections help decrease calls to school IT support, allowing students to recover damaged files and to store and connect easily to different WiFi networks. Additionally, Lenovo offers a broad range of optional services for the ThinkPad X130e laptop, starting with custom colors. Lenovo’s image services help keep IT teams focused on enhancing learning, not chasing device drivers and tediously loading images onto each PC manually. Asset tagging services help keep track of PCs left on the school bus or classroom, and Accidental Damage Protection services can help keep a check on repair budgets. And if the PC needs to be fixed, Lenovo’s Hard Drive Retention service protects students’ digital information.